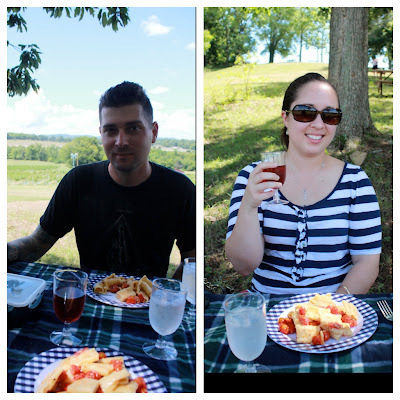 Duke and I had one final day to spend together, so we packed up a picnic and headed out to Arrington Vineyards. Founded by country star Kix Brooks, this beautiful winery on a hill was the perfect place to pass a lazy afternoon. We tasted wines, bought a bottle, listened to the jazz music (part of their music in the Vines program), and ate a sweet picnic meal on the property. I even caught a quick nap under the trees! It was the perfect way to spend a day... we know we'll be back there in the future! Relaxing, low-key, and all in the middle of beautiful scenery. Plus, with the exception of wine, it's free!